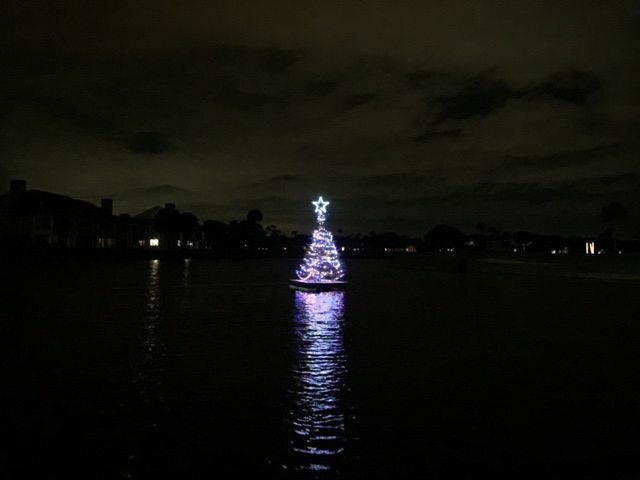 The annual Ponte Vedra Community Association Christmas Tree Launch will be held this Wednesday December 7th, 5:30-7:30 at the Ponte Vedra Inn & Cub Driving Range on the corner of Pablo Road and Ponte Vedra Blvd. This is such a fun Old Ponte Vedra Beach tradition. There is great food, cocktails, music, bonfire, Santa, and a beautiful tree lighting on the Inn & Club driving range. There is also a toy drive, and guests are asked to bring an unwrapped toy. The event is open to all members, and membership is easy. You can join at the event for $75 or complete the membership form on the PVCA website. Membership to the PVCA includes some great social events: the Tree Lighting event, a Valentine’s Party held up at the club, and an end of year meeting/dinner. Anyone is welcome and encouraged to join, though only those living in the MSD boundaries can vote at the annual meeting. You do not need to be a member of the Inn & Club to join, nor do you need to live in Old Ponte Vedra Beach. The PVCA is one of the oldest community associations in all of Ponte Vedra Beach. It is a social and community building organization as well as a community action organization that focuses on the well being, safety, preservation and beautification of The Ponte Vedra Municipal Services district, the boundaries of which encompass the Old Ponte Vedra Beach area, as well as Ponte Vedra Boulevard and communities down the Boulevard towards Guana State Park.